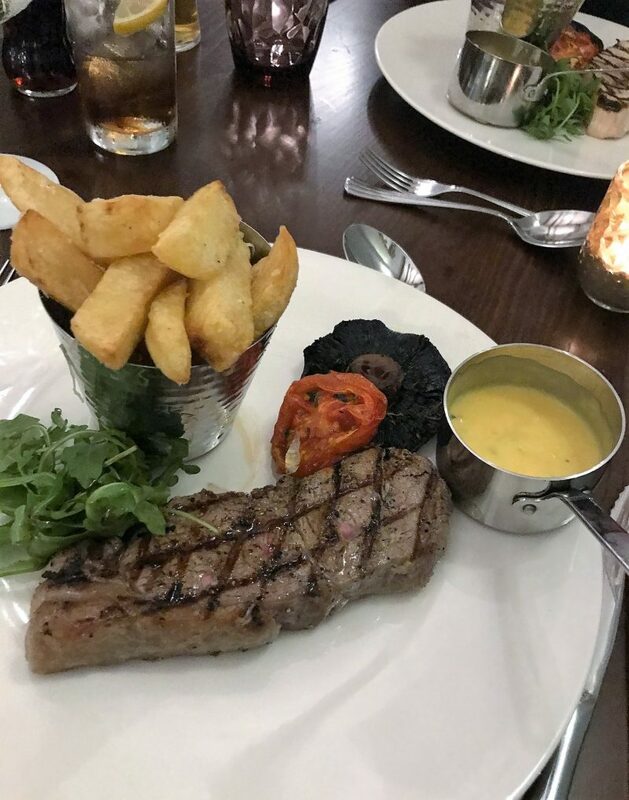 I recently headed to a Cheshire town I don’t usually have any excuse to go to, and there I had what I can only describe as one of the tastiest, most succulent steaks I’ve ever had. So of course, in true What Emma Did style, I’m heading to the blog to give it a good old review. So lets go. 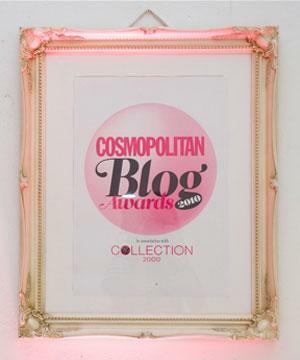 The venue in question is The Bridge, Prestbury, a cosy bar and eatery in the heart of affluent Prestbury. 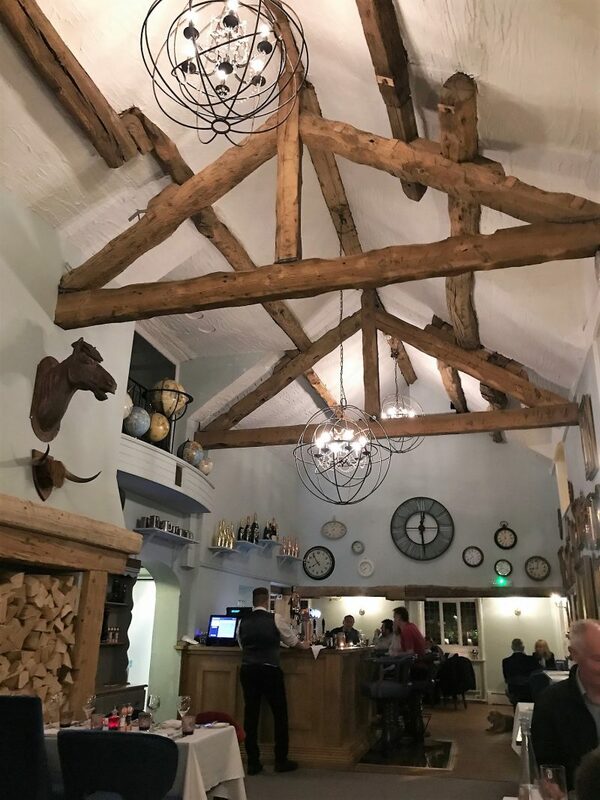 The Bridge is part of the Flat Cap group, a range of restaurants around Cheshire which combine quirky decor with country comforts. 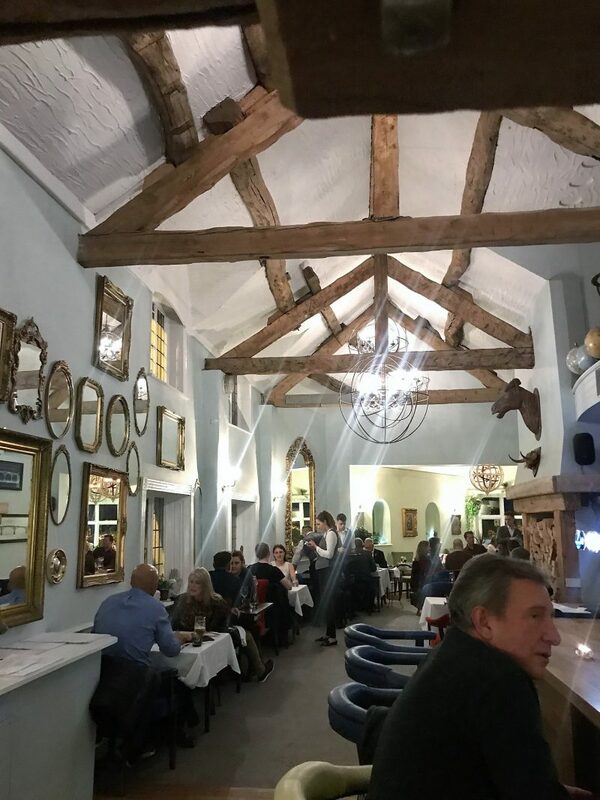 This one in particular is a grade II listed country pub, restaurant and hotel, which keeps to a similar interior style to that of The Vicarage and The Courthouse with it’s gallery wall. 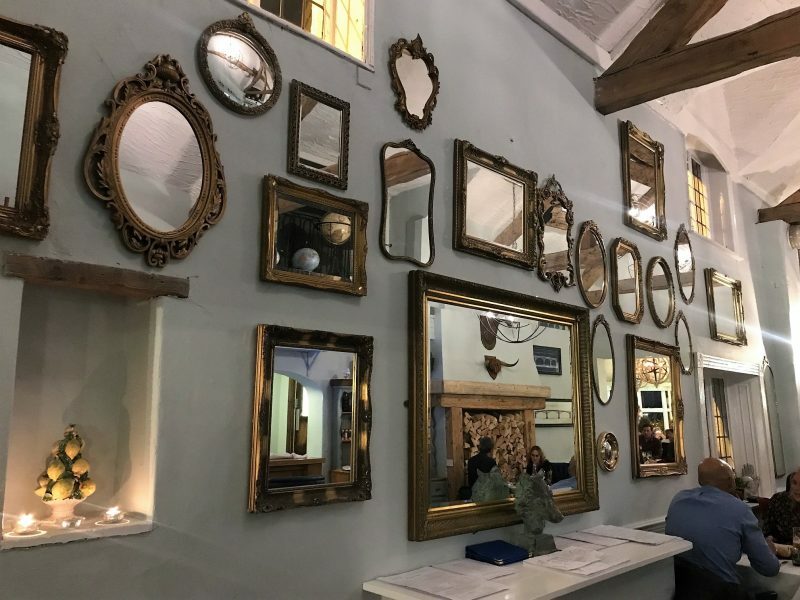 I tell you, between the three venues, they some some really impressive mirrors and wall art! The Bridge is a long standing part of Prestbury. 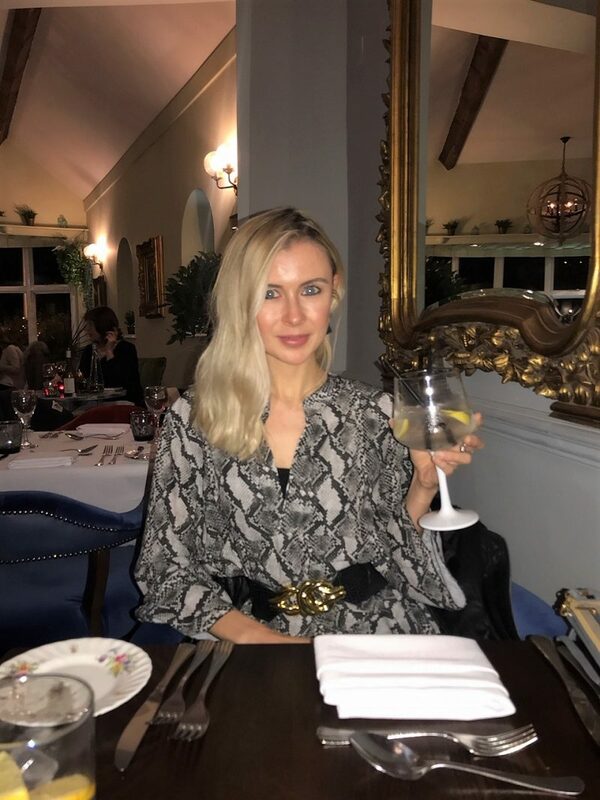 Since 1952, it has boasted luxurious accommodation, fine food, morning coffee, afternoon tea, private dining facilities, and a welcoming bar and restaurant to the Cheshire town. The seasonal menus promote the local farmers, foragers and gardeners of Cheshire. The newly refurbished Restaurant & Bar is located in the oldest side of the building which dates back to 1626. 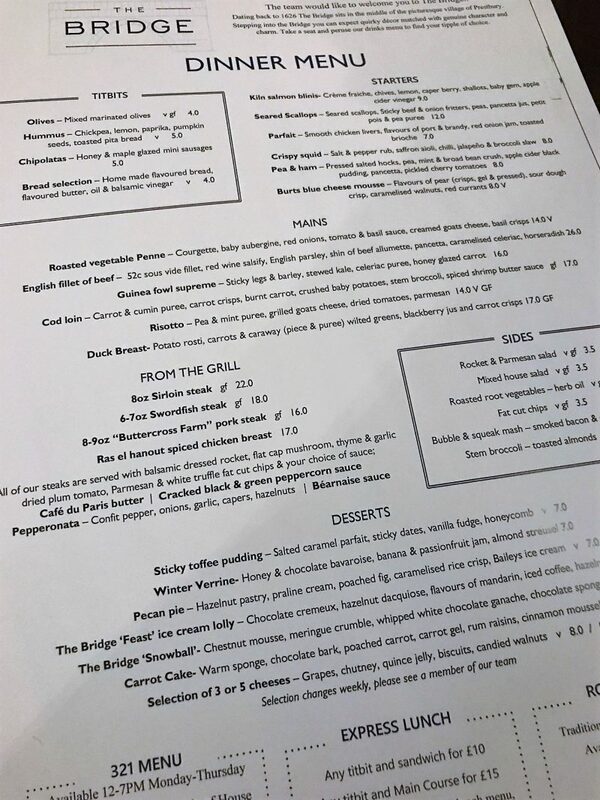 I had read up before I arrived that the Restaurant serves premium locally sourced British seasonal produce, giving traditional dishes a modern twist, which is always a safe cuisine for me! 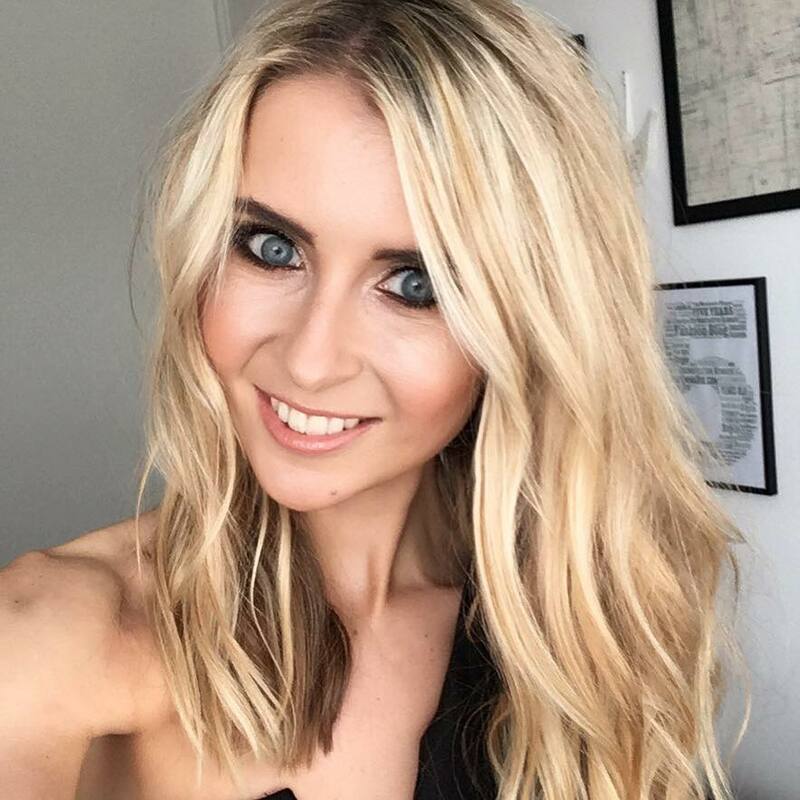 We were taken to a table of two just under the gallery wall, in which the waiter talked me through the restaurants signature cocktails. 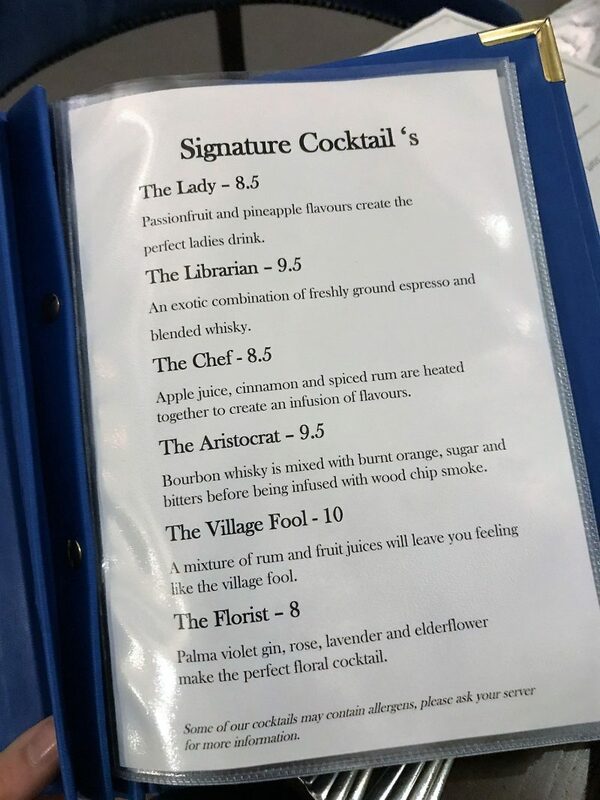 They are all named after local characters you would expect to find in a small town, such as The Libraian, The Chef and The Florist. 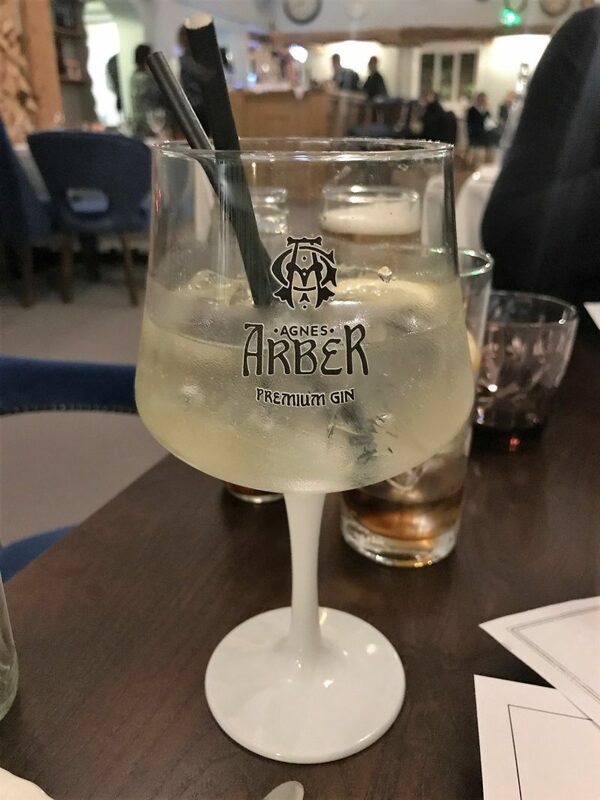 I opted for a refreshing gin and tonic to start me off, before browsing the extensive food menu’s, including the specials. 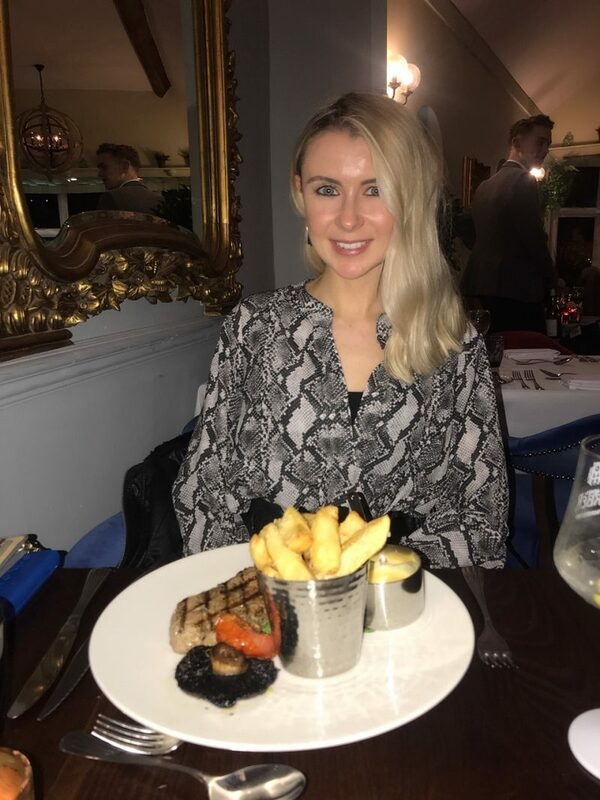 I was a little torn for a while between a few options – the Duck Breast was shouting out at me, but on the other hand, the Sirloin Steak sounded too good to miss. Especially as it came with Bearnaise sauce. 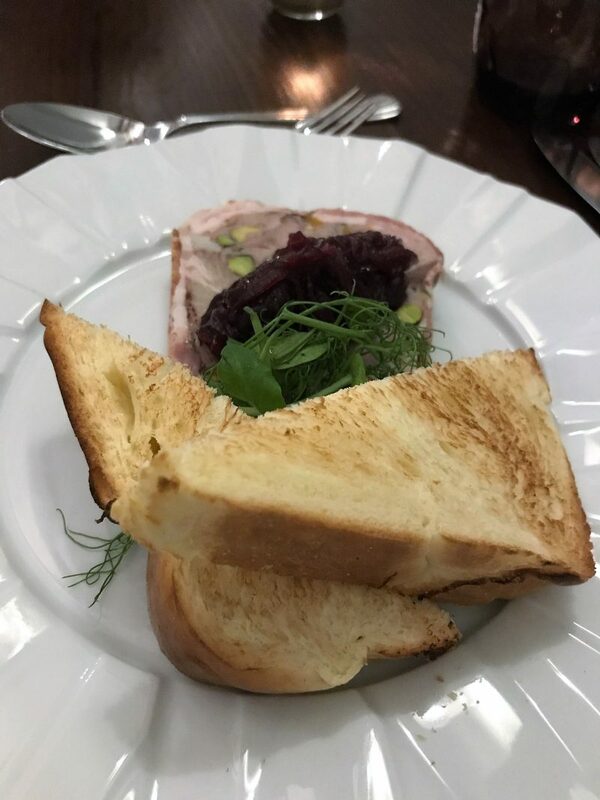 My boyfriend went for the Crispy Squid starter, followed by the Swordfish Steak, where as I went for a starter from the ‘Specials’ menu, the Game Terrine with Red Onion Marmalade and Toasted Brioche. 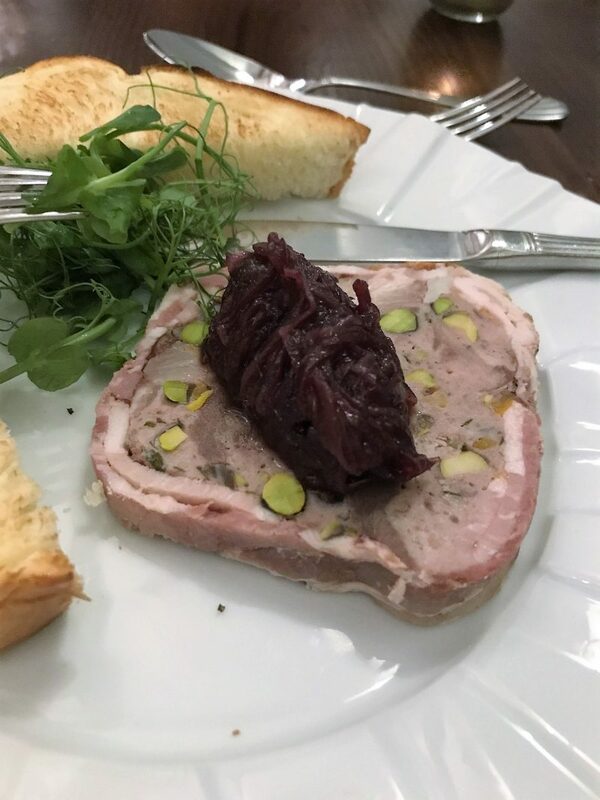 The starters were lovely – the game terrine was a chunky, juicy terrine which went perfectly well with the tangy red onion marmalade. 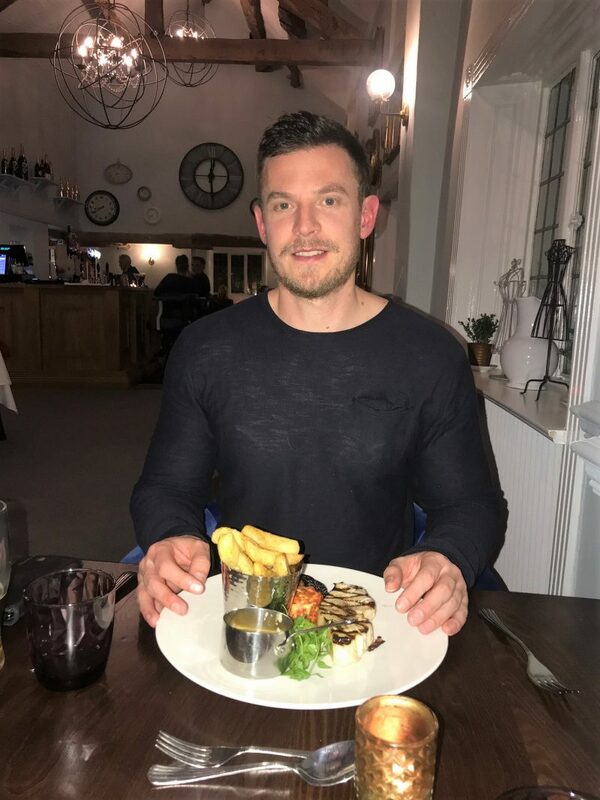 When our Sirloin Steak and Swordfish Steak was placed down in front of us, we were impressed with serving sizes. 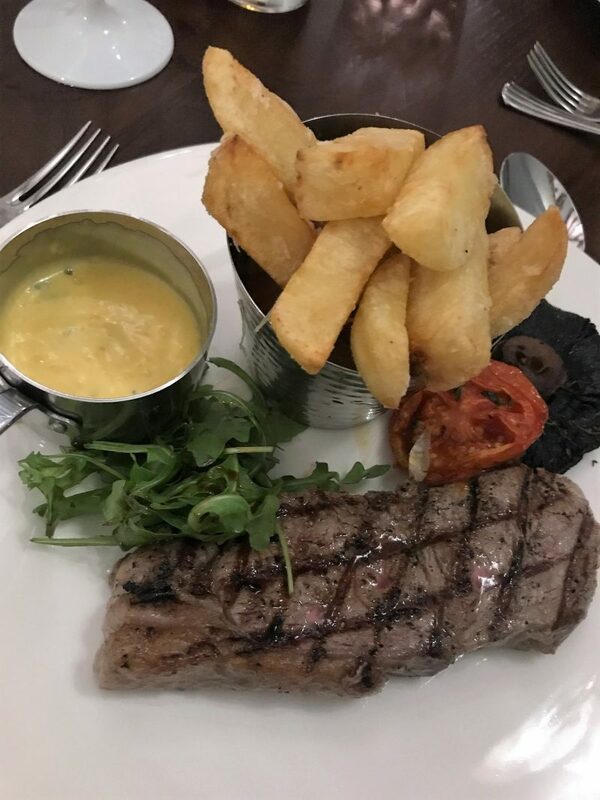 Large cuts of steak came with a portion of chunky chips, mushroom and tomato, and a generous helping of bearnaise. I usually have my steak rare/medium – medium, and this one was done just right. Soft, yet not too soft, succulent and juicy, easy to chew and delicious in taste. The bearnaise sauce gave it that creamy finish, and I probably ate it faster than any steak I’ve had before! 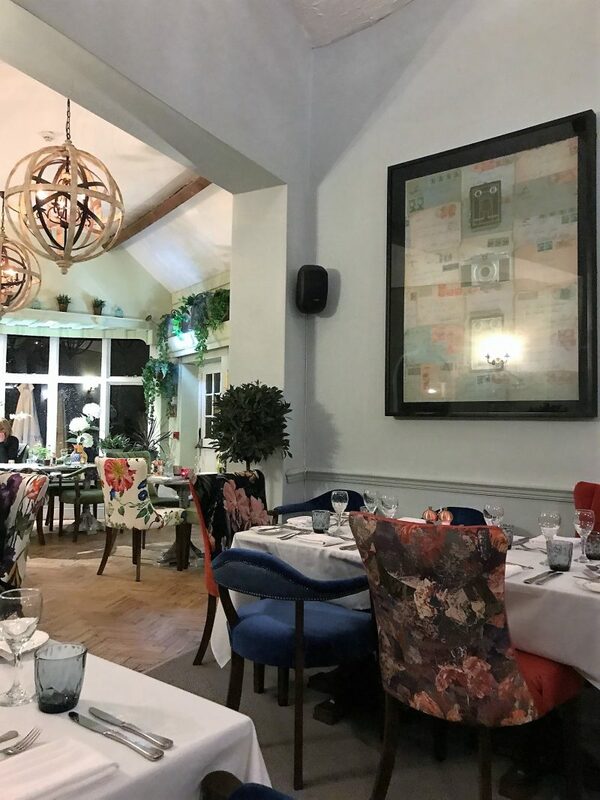 Pricing is reasonable for dining out in Prestbury – one of the more affluent, leafy Cheshire suburbs. 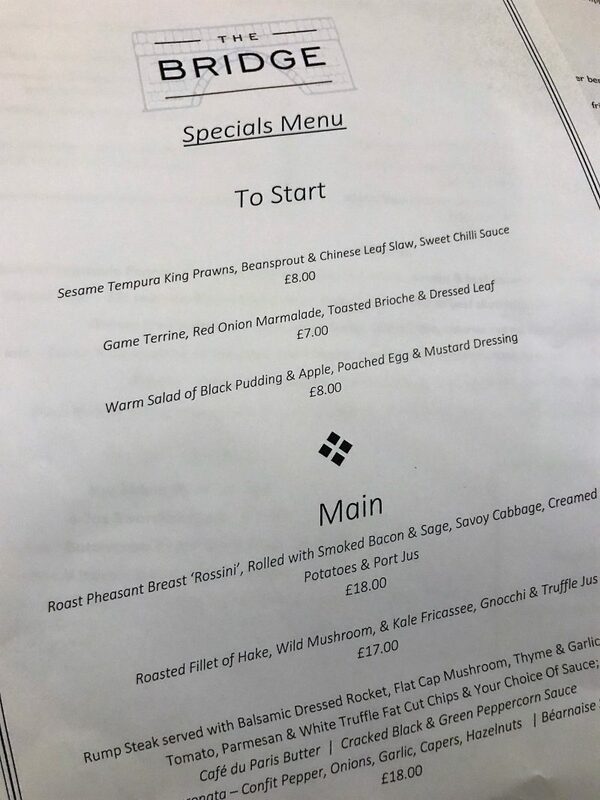 I thought it would be more premium prices than it was, where mains range from £14-£22, but you can get some great prices on the specials menu, too. Last but not least, I was of course tempted by dessert. After toying with the toss up between the Carrot Cake and The Pecan Pie, I finally went for the Pecan Pie. 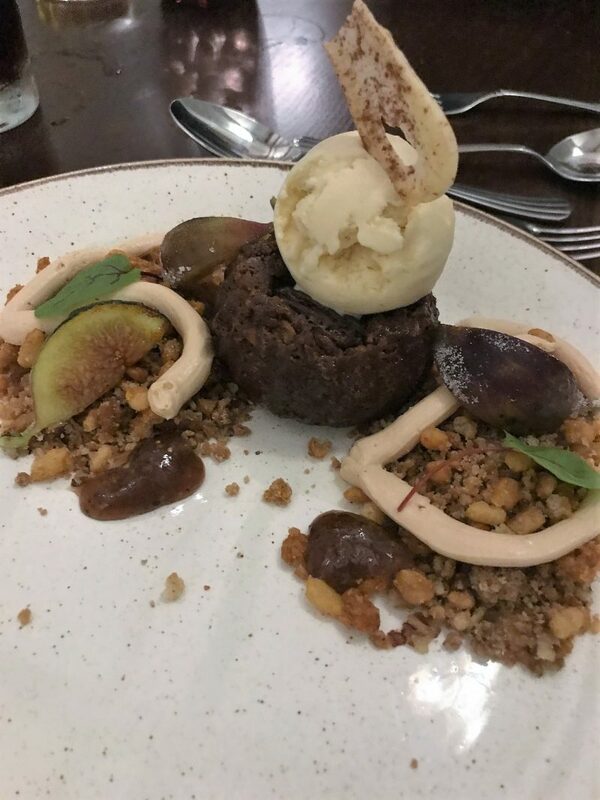 It consisted of Hazlenut pastry, praline cream, poached fig, caramelised crisp and baileys ice cream – literally what my dreams are made of! Believe me when I say this was heaven on a plate. 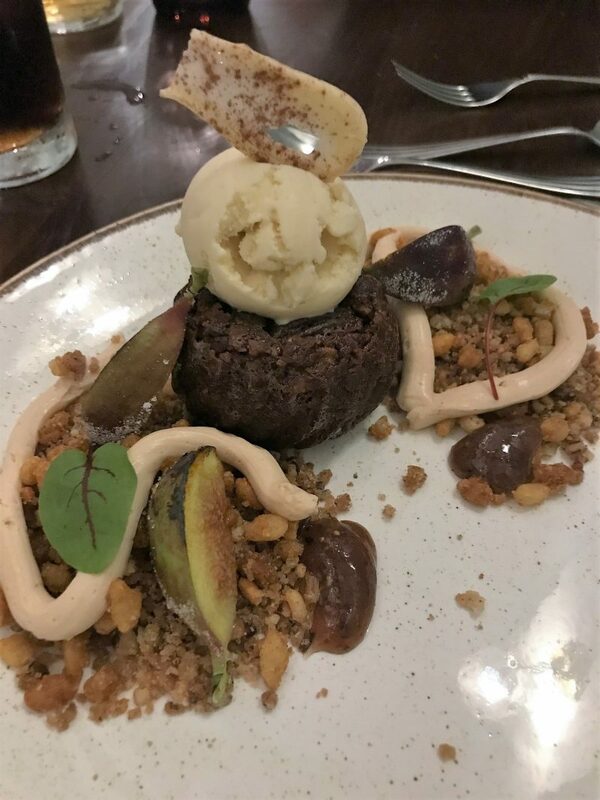 We got two spoons to share this delight, but I definitely scoffed over 70% of it. The crunchy crumb went so well with the baileys rich ice cream, and it tasted just like a sweet pecan pie. Overall, couldn’t fault my visit. 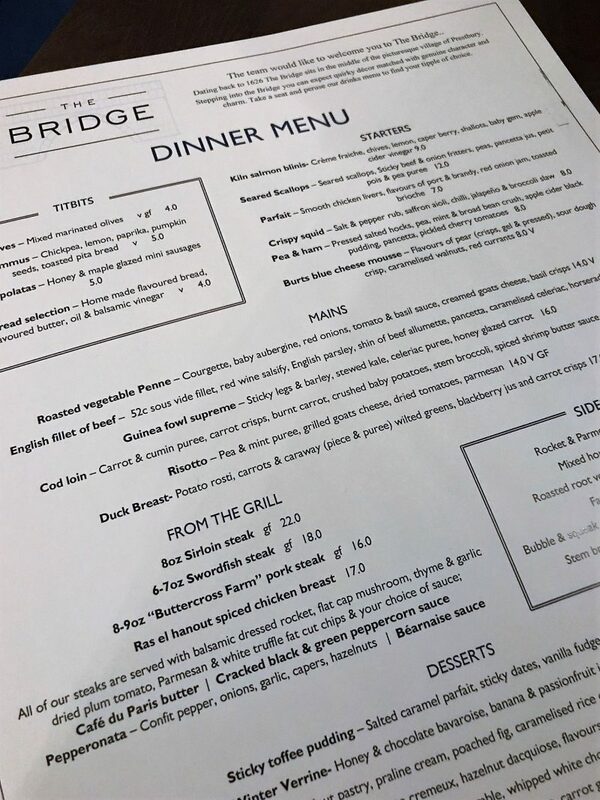 It’s a little far out for me to travel to if I wanted to return, but for those looking for somewhere to explore in Cheshire when having a day out, I highly recommend The Bridge.